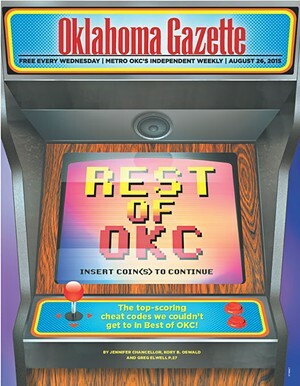 Oklahoma Gazettes Best of OKC capped off its 31st annual reader-driven awards program with a record number of votes in a record number of categories. We still cant possibly honor everyone, so a few years ago, we created Rest of OKC. We celebrate top scorers in fantasy categories like Best Mustache That Looks Like a Living Organism, Best Reader Write-Ins and Best Performing Arts WTF. ?Find the full list of Best of OKC winners at okgazette.com. ? Best of OKC 2015: HIGH SCORE!